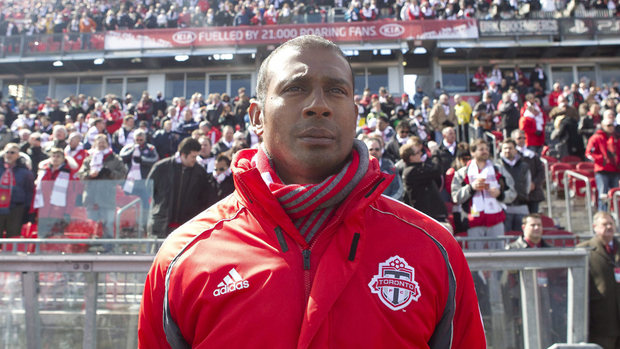 Toronto FC have announced that yet another coach will be departing from the head coach position. Aron Winter joins five predecessors in leaving the position under less than successful circumstances. TFC has only one win in 10 league matches in 2012. His overall league record with since taking over in January 2011 stands at 7-22-15. Despite the poor record in MLS play, during his time with Toronto Winter did lead TFC to two straight Canadian Championships and a healthy showing in the CONCACAF Champions League, including a victory over the defending MLS Champion LA Galaxy. With Winter stepping down and parting ways with the club, Paul Mariner steps in to become now the seventh coach in team history. Mariner was the longtime assistant to Steve Nicol during many of the New England Revolution's best years and is often credited with much of that teams success. "I'm a very modest man, but I've got unbelievable confidence in my own ability. I know exactly what I'm doing in training this week. I know exactly what the team will be next weekend, barring injuries, I know how we're going to play. It's almost written what's going to occur," said Mariner. "I can't wait to get started." While news of Aron Winter departing is not altogether surprising as the team has suffered terribly in league play, the problems with the organization go well beyond coaching. The team which entered the league in 2006 was once host to regular sellout crowds an enormous fan support. However, as the team on the field has struggled to make the playoffs and has reveled in mediocrity, the company behind the team has made decisions to upset that fan base. Maple Leaf Sports & Entertainment (MLSE) has been at the helm of decisions which has scorned the once unwavering fans. A price hike in 2011 on ticket prices, poor communication and little justification by MLSE have lead many fans to stop attending matches. Those prices in conjunction with the poor on field performance has left a black eye on Major League Soccer as a whole. 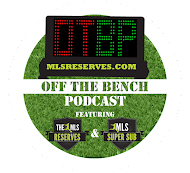 Televised matches that were once considered the apex of MLS fan support have now dwindled into a quiet reminder that nothing can be taken for granted. Compared to Vancouver or Montreal, BMO field in Toronto now pales where it should not. BMO field is a beautiful, well built stadium which is nearly unrivaled when filled to capacity. Perhaps most evident by this was the less than impressive showing of crowd support when Canada took on the United States this past week. It used to be that BMO would sell out for soccer no matter the opponent. Now though, scorned fans, mediocre club team results and high turnover in the city's soccer scene has reduced what should be a jewel of MLS to a tarnished rock. Paul Mariner will hope to bring the team back to relevance in league standings as well as in the hearts of Toronto natives. However, if he is to be the savior of Toronto's soccer realm, Mariner will need several pieces to fall into place. First he will need time. Time is something that will likely not be given as TFC woes offer little comfort to paying fans. Nonetheless, coaches need time to make the team their own. Fortunately Mariner does have intricate knowledge of the team after his time in the front office. It's unlikely prices will be dropped as the realities of business are ever-present, but something should be done for the fans, the city and the players. They deserve that and more.